The auction is next week, help us save horses! 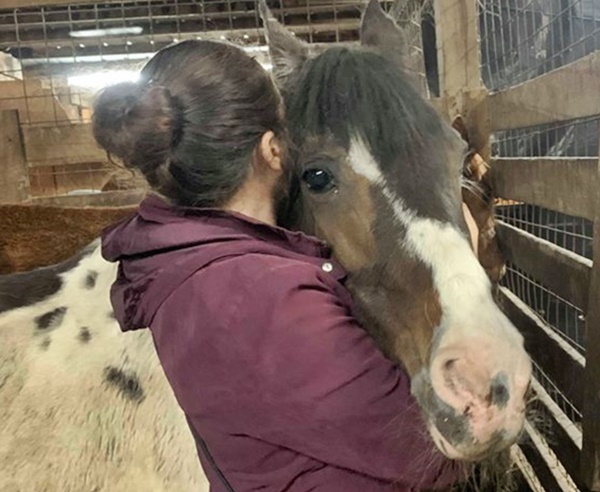 We are going to a Slaughter Auction this Tuesday (4-16-19) and need your help to save horses! Rescuing horses out of the slaughter pipeline is heartbreaking work, but we are their only chance. We can only rescue as many horses as funds allow. Right now we have raised enough funds to rescue and care for 3 horses. Our goal is to save at least 20 and you can help make that happen! It is heartbreaking when we have to say goodbye to horses we didn’t have funds to save and watch them load on to a slaughter truck. Will you help us change the world for horses who have no hope? Your donation will allow us to pull horses out of the slaughter pipeline before they end up at a feedlot and shipped to slaughter. When horses are at auctions they can tell their lives are in jeopardy. They are handled roughly, and when a person comes along and gives them sympathy and love, they soak it up as if they know it could be the last time they will receive compassion from a human. Auction yards are public sales where anyone who wins the bid can buy a horse. Kill buyers attend auctions to purchase horses to be shipped to slaughter. Auctions are the beginning of the slaughter pipeline for thousands of horses. Approximately 70,000 horses were shipped out of the USA for slaughter last year. 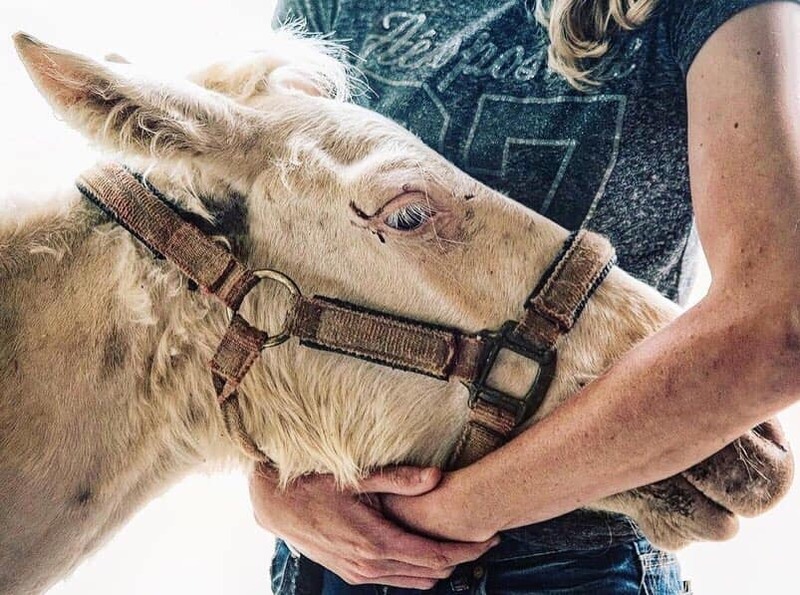 Kill buyers see horses as dollars on hooves, and the horses are purchased for their meat, regardless of age, training level, injuries, or service they have done for their old owners. Horses are crammed into huge trailers hauled by semi trucks, sometimes they go days without food or water on their way to be exported out of the United States to be slaughtered. 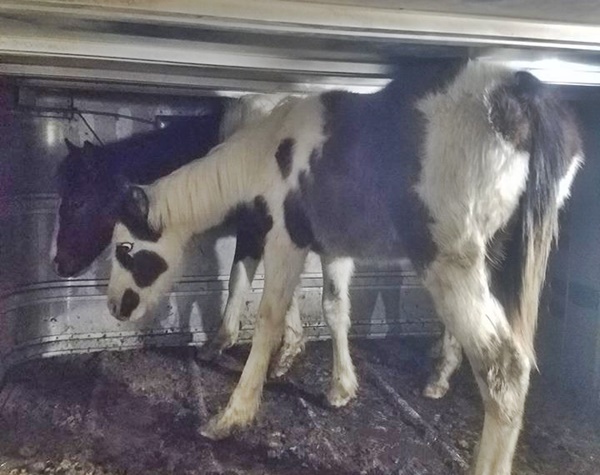 These baby horses were put in a small double-decker compartment. They can’t even raise their heads, you can see the fear in their eyes. Please help us save horses from the slaughter pipeline, donate now. Your donation will be used to purchase horses directly out of the slaughter pipeline, evaluate them, give them the medical care they need, the Last Act of Kindness if necessary, training, rehabilitation, and help them find their new homes. 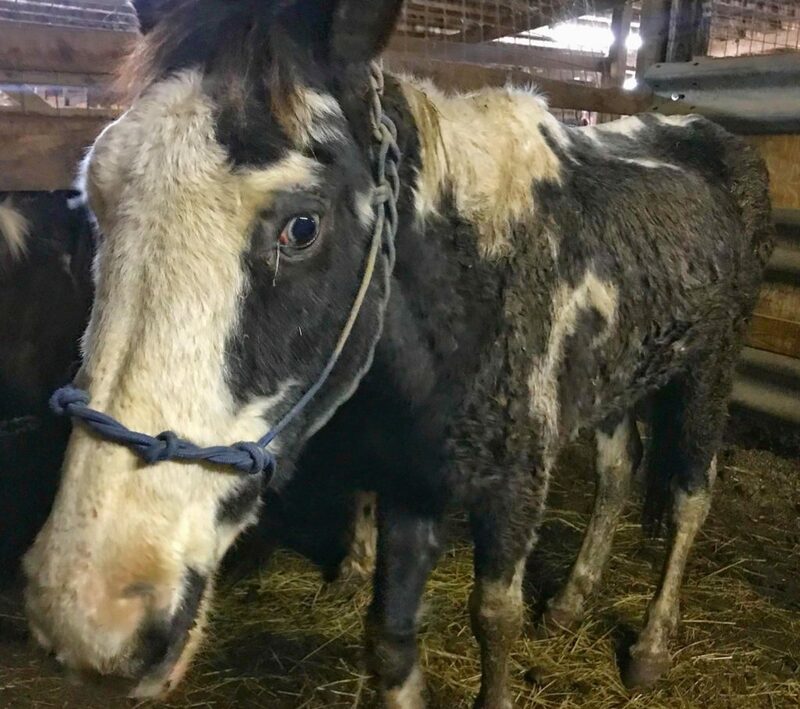 It cost approximately $1,000 to rescue a horse from the auction, give them medical care, quarantine, training, and get them adopted into a new loving home. You can help save horses from the slaughter pipeline, without your help, we cannot save them – Please give now! 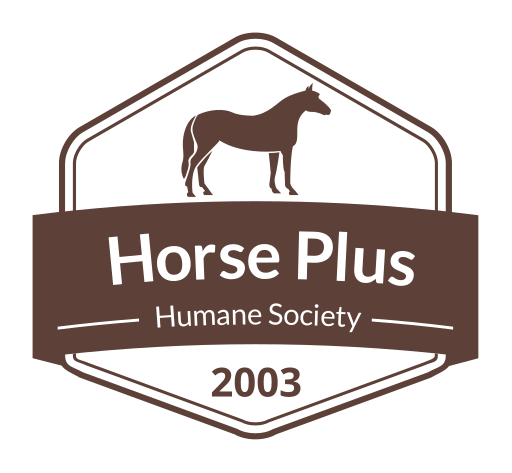 Horse Plus Humane Society is a 501(c)(3) non-profit animal welfare organization, tax ID #20-1156396.